Football Club Dynamo Kyiv (Ukrainian: Футбольний клуб «Динамо» Київ, [dɪˈnɑmo ˈkɪjiw]) is a Ukrainian professional football club based in Kyiv. Founded in 1927 as part of the Soviet Dynamo Sports Society, the club plays in the Ukrainian Premier League, and has never been relegated to a lower division. Their home is the 70,050 capacity Olimpiyskiy National Sports Complex. Since 1936, Dynamo has spent its entire history in the top league of Soviet and later Ukrainian football. Its most successful periods are associated with Valeriy Lobanovskyi, who coached the team during three stints, leading them to numerous domestic and European titles. The club became the only one in the history of Soviet football that managed to overcome the total hegemony of Moscow-based clubs in the Soviet Top League. The Spartak Moscow–Dynamo Kyiv rivalry became the most exciting football rivalry in the Soviet Union that almost completely eclipsed the Spartak Moscow–Dynamo Moscow rivalry. Since the late 1960s, the club has participated in the UEFA continental competitions almost every year. It was the first Soviet football club to participate in the UEFA European competitions, starting to do so in 1965. Over its history, Dynamo Kyiv has won 15 Ukrainian national titles, 13 Soviet national titles, 11 Ukrainian national cup competitions, 9 Soviet national cup competitions, and three continental titles (including two UEFA Cup Winners' Cups). Along with Dinamo Tbilisi, they were the only two Soviet clubs that succeeded in the UEFA competitions. The first team of Dynamo became a base team for the Soviet Union national football team in the 1970–1980s and the Ukraine national football team in the 1990–2000s. The two stars on the club's crest each signify the two Cup Winners' Cups Dynamo Kyiv won. On 13 May 1927, the statute of the Kyivan Proletarian Sport Society (PST) Dynamo was officially registered by the special commission in affairs of public organizations and unions of the Kyiv district. The All-Union sport society of Dynamo itself was just earlier formed in 1923 on the initiative of the Felix Dzerzhinsky. Under the banner of Dynamo gathered the representatives of the GPU (the State Political Directorate, that is, the Soviet secret police), the best footballers of which defended the honors of the Trade Union club "Sovtorgsluzhashchie" (portmanteau for Soviet retail servicemen). 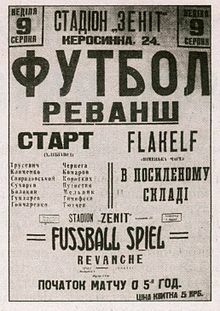 The leadership of Dynamo, however, did not dare to reorganize the well-established club and the main title contender in the middle of a playing season and therefore the first mentioning about the football club Dynamo could only be found on 5 April 1928 in the Russian-language newspaper Vecherniy Kiev ("Evening Kiev"). The next match played by Dynamo was on 17 July 1928 against another Dynamo from the port city of Odessa. As the club gained more experience and played on a regular basis, it started to fill the stadium with spectators with both the club and football in general gaining popularity in Soviet Ukraine. During the Soviet era, the club was one of the main rivals, and often the only rival, to football clubs from Moscow. Its ability to challenge the dominance of the Moscow clubs in Soviet football, and frequently defeat them to win the Soviet championship, was a matter of national pride for Ukraine. Leaders of the Ukrainian SSR unofficially regarded the club as their national team and provided it with generous support, making Dynamo a professional team of international importance. In 1936, the first Soviet Championship was played, and Dynamo Kyiv was one of the pioneers of the newly formed league. The club's early successes were however limited to a second-place finish in 1936 and third place in 1937. In the 1941 season, the club only played nine matches as World War II interrupted league play. The propaganda story is often told of how the Dynamo team, playing as "Start, City of Kyiv All-Stars", was executed by a firing squad in the summer of 1942 for defeating an All-Star team from the German armed forces by 5–1. The actual story, as recounted by Y. Kuznetsov, is considerably more complex. Still, this match has subsequently become known in the Soviet media as "The Death Match". After the Nazi occupation of Ukraine began, former professional football players (Dynamo and Lokomotyv) found employment in the city's Bakery No. 3, and continued to play amateur football. The team participated in exhibition games that took place in the city among various other teams including teams composed of the Wehrmacht soldiers. The Kyiv's team played under the name of "Start", comprising eight players from Dynamo Kyiv (Nikolai Trusevych, Mikhail Svyridovskiy, Nikolai Korotkykh, Oleksiy Klymenko, Fedir Tyutchev, Mikhail Putistin, Ivan Kuzmenko, Makar Honcharenko) and three players from Lokomotyv Kyiv (Vladimir Balakin, Vasyl Sukharev and Mikhail Melnyk). In July and August 1942, "Start" played a series of matches against the Germans and their allies. On 12 July, a German army team was defeated. A stronger army team was selected for the next match on 17 July, which "Start" defeated 6–0. On 19 July, "Start" defeated the Hungarian team MSG Wal 5–1. The Hungarians proposed a return match, held on 26 July, but were defeated again, 3–2. "Start"'s streak was noticed and a match was announced for 6 August against a "most powerful" "undefeated" German Luftwaffe Flakelf (anti-aircraft artillery) team, but despite the game being talked up by the newspapers, they failed to report the 5–1 result. On 9 August, "Start" played a "friendly" against Flakelf and again defeated them. The team defeated Rukh 8–0 on 16 August, and afterwards, some of "Start"'s players were arrested by the Gestapo, tortured – Nikolai Korotkykh died during the torture – and sent to the nearby labour camp at Syrets. There is speculation that the players were arrested due to the intrigues of Georgy Shvetsov, founder and trainer of the "Rukh" team, as the arrests were made in a couple of days after "Start" defeated "Rukh". In February 1943, following an attack by partisans or a conflict of the prisoners and administration, one-third of the prisoners at Syrets were killed in reprisal, including Ivan Kuzmenko, Oleksey Klymenko and goalkeeper Nikolai Trusevich. Three of the other players – Makar Honcharenko, Fedir Tyutchev and Mikhail Sviridovskiy – who were in a work squad in the city that day, were arrested a few days later or, according to other sources, escaped and hid in the city until it was liberated. The story inspired three films: the 1961 Hungarian film drama Two Half Times in Hell, the 1981 American film Escape to Victory and the 2012 Russian film Match. In 1989, the club transitioned into an independent company being disassociated from the Ukrainian republican society of Dynamo. During the last seasons of the Soviet Top League, it competed in the national colors of Ukraine as part of the national movement that grew very popular. After the dissolution of the Soviet Union, the club became a member of the newly formed Ukrainian Premier League. Already in the summer of 1993, however, the club appeared in its first crisis as the economic policy of Dynamo president Viktor Bezverkhy set Dynamo on the path to bankruptcy. On 19 July 1993, an extraordinary assembly of coaches and players fired Viktor Bezverkhy and established a stock society "Football Club "Dynamo (Kyiv)". The president of the newly formed company was elected Hryhoriy Surkis. The republican and city councils of the Dynamo society agreed to hand over to Dynamo Kyiv two training centers and the Dynamo Stadium. The founders besides the football team and the Dynamo councils became also the commercial consulting centre Slavutych and the British firm Newport Management. A review board was created, consisting of directors of the Ukrainian Ministry of Interior, Security Service of Ukraine, Border Troops and General Prosecutor. Dynamo's status as the country's principal club did not change, however, as they went on to dominate domestic competitions, winning or being runner-up in every year of the Premier League's existence and becoming a fixture in the UEFA Champions League. Its main rival in Ukraine is Shakhtar Donetsk, a club from the Donbas region, that came second to Dynamo several times before winning its first Premier League in 2002. The matches between these two sides are called the Ukrainian derby. In 2007, as a part of club's 80-year anniversary, two gold stars were added to the top of the crest, representing ten Ukrainian championship titles and ten USSR champion titles. Due to club's poor performance in the UEFA Champions League during the last two seasons, Dynamo's management took a somewhat unexpected decision by appointing the first foreign manager in the club's history. Previously, only former players or Dynamo football academy graduates became managers, but in December 2007 Russian coach Yuri Semin was invited to become the new manager of Dynamo Kyiv. However, the club yielded to Shakhtar Donetsk in both the Ukrainian Cup and Premier League in 2008. In 2009. in the club's most successful European campaign since 1999, it reached the semi-finals of the UEFA Cup (eliminating such teams as Valencia and Paris Saint-Germain) but was defeated at that stage by Shakhtar Donetsk. However, 2009 also brought success, as the club celebrated its 13th Premier League title. In a season which contained their record win, a 9–0 victory over Illichivets Mariupol, the club only managed to finish runners-up in the league in 2010–11, after Shakhtar Donetsk. In what would be icon Andriy Shevchenko's final season at the club, Dynamo also finished as runners-up in 2011–12. In the 2011–12 season Dynamo also managed to reach the group stage of the Europa League after being eliminated in the Champions League third qualifying round by Rubin Kazan by 0–2 in Kyiv and 2–1 in Kazan. In the Europa League playoffs, the club managed to defeat Litex Lovech with a 3–1 aggregate score. In the group stage, Dynamo finished third after a disappointing campaign in a group containing Beşiktaş, Maccabi Tel Aviv and Stoke City. In April 2013, it was announced the club would play two European ties behind closed doors due to racism from fans during previous European ties. In the 2012–13 season, the club managed to qualify for the Champions League group stage after eliminating Feyenoord 3–1 and Borussia Mönchengladbach 4–3 on aggregate and qualified for the Champions League group stage. Dynamo was placed in a group with Paris Saint-Germain, Porto and Dinamo Zagreb and finished in third place with only five points and was eliminated in the Europa League round of 32 by Bordeaux 2–1 on aggregate. In the Premier League, Dynamo finished third, whereas in the Cup, it was eliminated in the round of 32. Overall, the 2012–13 season was a disappointment for Dynamo. The 2013–14 season was an equally disappointing season as Dynamo finished in fourth place in the league, the worst since the establishment of the Premier League and only managed to reach the round of 32 in the Europa League where it was eliminated by Valencia 2–0 on aggregate. Oleh Blokhin was sacked and was replaced by former player Serhiy Rebrov. As a result, Dynamo managed to win the 2013–14 Ukrainian Cup for the first time in five years. In the beginning of the 2014–15 season, Dynamo signed many promising players such as Aleksandar Dragović, Jeremain Lens (departed after end of the season), Łukasz Teodorczyk and Vitorino Antunes. Under Rebrov, Dynamo won the 2014–15 Ukrainian Premier League – undefeated – and the 2014–15 Ukrainian Cup to earn a domestic double for the first time in eight years. In the 2014–15 Europa League, Dynamo comfortably qualified from a group containing Aalborg BK, Steaua București and Rio Ave, finishing in first place with 15 points. In the round of 32, the club eliminated Guingamp 4–3 on aggregate, and in the round of 16, eliminated Everton 6–4 on aggregate after a spectacular 5–2 performance in Kyiv. Rebrov prioritized the passing game but focused on solid defensive foundations. However, in the quarter-finals of the Europa League, Dynamo was eliminated by Fiorentina 3–1 on aggregate. In the beginning of the 2015–16 season, Dynamo signed the highly talented Derlis González and was drawn in Group G of the 2015–16 Champions League alongside Chelsea F.C., FC Porto and Maccabi Tel Aviv F.C. Dynamo finished in second place with 11 points after a spectacular performance and a memorable 0–2 in Porto. However, Dynamo was punished by UEFA for a racist incident in the home game against Chelsea where four black men were attacked in the stands by Dynamo fans. Despite this, Dynamo reached the round of 16 in the Champions League for the first time since 2000, where it was drawn with Manchester City. Dynamo was eliminated 1–3 on aggregate but managed to hold an impressive 0–0 draw in Manchester. Dynamo's domestic performance was equally memorable as the club celebrated the 2015–16 Ukrainian Premier League only losing to archrival Shakhtar Donetsk 0–3 twice and was eliminated in the quarter-finals of the 2015–16 Ukrainian Cup. At the end of the season, several star performers (such as Miguel Veloso, Aleksandar Dragović, Younès Belhanda and Łukasz Teodorczyk) departed the club and were not replaced. Alyaksandr Khatskevich, former player and current manager of the team. The 2016–17 season was a relative disappointment for Dynamo, as the club finished in second place in the 2016–17 Ukrainian Premier League, behind Shakhtar Donetsk, with a difference of 13 points after a string of disappointing results. In the 2016–17 Champions League, the club was drawn in Group B alongside Napoli, Benfica and Beşiktaş J.K.. Dynamo finished in fourth place after a dismal campaign, but managed to record a memorable 6–0 win over Beşiktaş in Kyiv. In the winter transfer window, Dynamo signed promising defenders Aleksandar Pantić and Tamás Kádár and focused on youth academy talents such as Viktor Tsyhankov, Artem Besyedin and Volodymyr Shepelyev, managing to improve its performances. Dynamo lost the 2016–17 Ukrainian Cup to Shakhtar Donetsk 0–1 in the final. For the 2017–18 season, after Serhiy Rebrov departed, the club appointed former player Alyaksandr Khatskevich as Rebrov's replacement. Dynamo participated in the 2017–18 Champions League third qualifying round and was drawn with BSC Young Boys after a promising start to the season. Dynamo won the home game 3–1 but after a bad performance in Switzerland and a defeat of 0–2 was eliminated with a score of 3–3 (on away goals rule) and thus participated in the 2017–18 UEFA Europa League play-off round where Dynamo was drawn with C.S. Marítimo and won 3-1 on aggregate and was drawn with BSC Young Boys, FK Partizan and KF Skënderbeu Korçë in the UEFA Europa League group stage. Dynamo's traditional colours are white and dark blue, with white being the predominant colour. Throughout their history the club has usually played in a white shirt and blue shorts. This was changed in 1961 when a blue sash was added to the kit; it was removed soon afterwards. In 2004, the club's management decided to restore the famous sash as a talisman. It was added to the away kit and remained there until the beginning of the 2008–09 season, when it was replaced by a white kit with a shirt having thin blue vertical stripes, the first time in over 50 years that a club had worn such a pattern. During the last two seasons before the breakup of the Soviet Union, Dynamo's kit was similar to Metalist, yellow shirts and blue shorts. This color scheme carried a symbolic meaning, representing the national colours of the yet-not-adopted Ukraine national flag. In the 1990 Soviet Cup Final, the yellow-blue Dynamo team thrashed the all-Red Lokomotiv 6–1 at Luzhniki Stadium. In the early years of Ukrainian independence, the club swapped their yellow colour for white. However blue remained one of Dynamo's colours and is still a main colour of the club's away kit. The club's current sponsors, Adidas and Ostchem Holding, feature on the team shirt. Adidas is also the manufacturer of the kit. Among former sponsors there were Nadra Bank, PrivatBank, Prominvestbank, Ukrtelecom, and others. Being a member of the All-Union Sports Society Dynamo, the Dynamo football team of Kyiv adopted the same emblem of the Dynamo's sports society as its first logo, which featured on their shirts since 1927 and was a cursive blue Cyrillic letter "Д" (D) in a vertical rhombus. Similar emblem existed in other Soviet football teams throughout the Soviet Union such as FC Dynamo Moscow, FC Dinamo Tbilisi, FC Dinamo Minsk, and others. The idea of symbol is attributed to a native of Ukraine Leonid Nedolya-Honcharenko who at that time served as a chief of political department of the OGPU troops in Moscow District. The symbol the club obtained on franchise rights from the Ukrainian Fitness and Sports Society "Dynamo" (see Dynamo–Ukraine). Over the years, the club's logo has undergone many changes and replacements, but the cursive "D" has remained ever since. In 2003 after Dynamo won their 10th domestic trophy, a golden star was added at the top of the logo to celebrate the club's success. The second star was added to the logo in 2007 during celebrations of Dynamo's 80-year anniversary. Although Dynamo has won only 15 Ukrainian league titles, their 13 titles as USSR Champions were taken into account. Dynamo Kyiv has participated in all of the USSR and Ukrainian championships to date, and has won both competitions more times than any other team. The club's best performances were in the 1970s and 1980s, a time in which the Soviet Union national football team was composed mostly of players from the club. Dynamo Kyiv also tied the national record for winning three consecutive Soviet Premier League titles in 1966, 1967, and 1968. Dynamo Kyiv won the UEFA Cup Winners' Cup in 1975 and 1986 as well as the European Super Cup in 1975, after two games against Bayern Munich. In 1977, 1987, and 1999, the club reached the semi-finals of the UEFA Champions League. 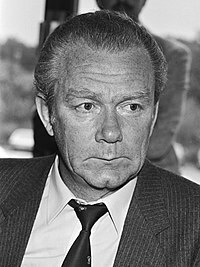 These victories are associated with the name of Valeriy Lobanovskyi, who played for the club in the 1960s and later became the club's long-term head coach. In 2009 the club reached the semi-final of the UEFA Cup. Dynamo striker Oleh Blokhin is the Soviet Premier League's all-time top scorer with 211 goals, and has also made more appearances than any other player in the championship's history with 432. Dynamo Kyiv is also was one of the base clubs of the Soviet Union national football team and many players of the club represented the Soviet Union at international level. After fall of the Soviet Union, Dynamo became the base club of the Ukraine national football team. Dynamo striker Oleh Blokhin is the Soviet Union national football team all-time top scorer with 42 goals, and has also made more appearances than any other player for the team with 112. Two other Dynamo strikers – Oleh Protasov and Viktor Kolotov – are among the Soviet Union national football team top five best scorers with 29 and 22 goals respectfully. Two other Dynamo players – Anatoliy Demyanenko and Volodymyr Bezsonov – are among the Soviet Union national football team top five players with most appearances 80 and 79 respectfully. Four former Dynamo's players were appointed as a head coach of the Soviet Union national team, among which Valeriy Lobanovsky, Oleh Bazylevych, Vladimir Salkov and Anatoliy Byshovets. All head coaches of the Ukraine national team but two were at some time former players of Dynamo Kyiv. Two players have won the European Championship whilst at Dynamo Kyiv. The club's home ground, Valeriy Lobanovskyi Dynamo Stadium, is situated in a park located in the centre of the city, close to the Dnieper River bank. The stadium holds 16,873 spectators, and has been the club's home since 1934. When it was built the stadium's capacity was 23,000. After being destroyed in 1941 during World War II, it was rebuilt in 1954. By the end of the 20th century, the stadium was reconstructed as a football-only venue with individual seats. These changes reduced the facility's capacity to its present one. In 2002 after the sudden death of Dynamo's longtime player and coach Valeriy Lobanovskyi, the stadium was renamed in his honour. After NSK Olympiyskiy was closed for reconstruction in 2008, Dynamo also began to play its European games at the Lobanovsky Stadium. Due to a high demand for European fixtures of the club throughout its European history Dynamo played a majority of their home fixtures at Kyiv's and Ukraine's largest stadium, the Olimpiyskiy National Sports Complex, historically dubbed The Republican Stadium, which held 83,450 spectators. The stadium has been the home of the Ukrainian Cup final since its inaugural game in 1992 and up until 2007. The stadium was closed for a major reconstruction in 2008, after Ukraine and Poland were chosen to host the UEFA Euro 2012. The Olympiysky became Kyiv's main venue as well as the stadium that hosted the final; it also become an UEFA Elite rated stadium. The team also has a modern-equipped training base in the Kyiv suburb of Koncha-Zaspa. The club maintains its own football school for children and youths, also situated in Kyiv. Junior Dynamo teams are colloquially known as Dynamo-2 and Dynamo-3. Its reserves team -called "double" (дубль) in both Ukrainian and Russian- participates in the national Reserves tournament, where "doubles" of all 16 Vyscha Liga teams compete. Many notable Dynamo Kyiv players progressed through the club's youth system, among them is Andriy Shevchenko, one of the graduates of the school. Dynamo Kyiv has several reserve teams. Dynamo reserve teams competed in national competitions since 1946. The club was fielding its reserve team in the Soviet Top League competitions for reserve teams (so called doubles) that existed in 1946–1991. Dynamo doubles team holds a record for number of champion titles of the Soviet Top League for doubles winning it 15 times with a closest pursuing Spartak doubles team trailing with 9 titles. In 2004 the club revived its reserve team which later became youth (U-21) team competing at Ukrainian Premier League competitions for U-21 and U-19 teams. Dynamo football school (academy) fields few teams in Ukrainian Youth Football League as well as Kyiv city football league. Among possibly most exotic football academy graduates is a former Moroccan international Tarik El Jarmouni. Besides its normal junior squads, FC Dynamo Kyiv also has fielded its second team Dynamo-2 which competed among regular "teams of masters" (Soviet analog of professional teams) as well as republican competitions (amateur level) during the Soviet period. The first time the team participated in football competitions at professional level was in 1964 when it took part in the Soviet Second League (in so called the Ukrainian Soviet football competitions). With dissolution of the Soviet Union in 1991, Dynamo-2 was revived based on the Dynamo's reserve team that participated in the Soviet Top League for doubles. The team continued to play in Ukrainian First League for over 20 years. Along with the second team, Dynamo created also its third team Dynamo-3 which at first played at amateur level and later advanced to Ukrainian Second League. Since 2016, Dynamo has discontinued its numbered team. The Dynamo fan movement is one of the oldest in Ukraine. Active support began in 1980s during the Soviet period (Ukrainian SSR). Then began to appear first graffiti with the team's logo and was registered one of the biggest fights in the USSR: Dynamo fans against fans of Spartak Moscow in the center of Kyiv. In the 1990s on the stands became popular English style. Dynamo ultras are usually associated with right-wing politics and many adhere to nationalist ideas. Historically they would frequently hold patriotic (Ukrainian nationalism) and strongly anti-communist actions. During the reign of Viktor Yanukovych the ultras had bad relations with the government, caused by persecutions of fans and other political factors. The most publicized action was "Freedom Pavlichenko" (Ukrainian: Волю Павліченкам) in support of political prisoners father and son Pavlichenko. The ultras Dynamo took part in the Independence Day of Ukraine and Heroes Day celebrations. The most famous derby in Ukraine is Ukrainian derby, always held in a very tense atmosphere. Dynamo maintains friendly relations with: Karpaty Lviv, Dnipro Dnipropetrovsk (Braty po zbroyi; Band of Brothers), Hutnik Kraków and with Zalgiris Vilnius fans. Strained relations with: Shakhtar Donetsk, Chornomorets Odesa, Metalist Kharkiv, Spartak Moscow and Legia Warsaw. Now all fans have declared a truce because of the war in Eastern Ukraine. They play the Kyiv derby with Arsenal Kyiv, a strong rivalry also due to politics; Arsenal fans are known to be strongly left-wing. Dynamo Kyiv made a forceful entrance into European competitions in the 1965–66 European Cup Winners' Cup, advancing into the quarter-finals before losing to Celtic F.C.. The club is a regular visitor to UEFA competitions, having participated in over 50 tournaments. Dynamo Kyiv has not missed a single season of European competition since 1990 and, since 1973, has only missed out twice (1984–85 and 1988–89). ^ Dynamo Kyiv ordered to play next two European ties behind closed doors due to racism incidents from fans, The Daily Telegraph (10 April 2013) On 21 January 2014, in midst of the Ukrainian Revolution, the VK fan site called out to all fans to go into the streets and protect the city from the "titushki", or hired pro-government thugs. ^ History of the letter "Д" (История буквы "Д"). FC Dynamo Kyiv. ^ "New Balance and FC Dynamo Kyiv: start of shared path". fcdynamo.kiev.ua. Retrieved 2018-07-02. Wikimedia Commons has media related to FC Dynamo Kyiv.